This design is free from the Knitty's website. 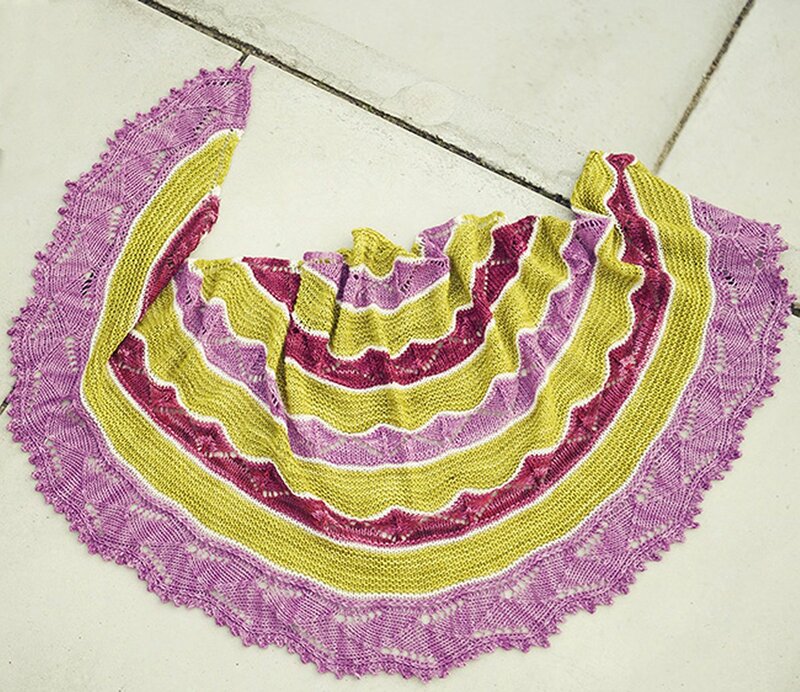 "Ennui" - You'll get a kick out of this engaging and colorful shawl, ironically named for the feeling of listlessness and tedium that it's sure to banish. 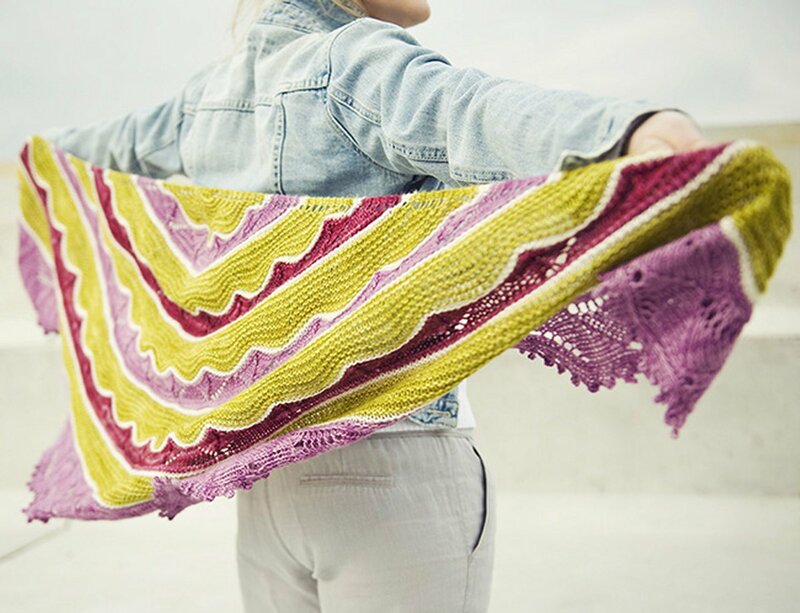 Be daring with your color choices or remain comfortably reserved - either way your excitement will grow along with the shawl as you create textured stripes and gently undulating waves. Worked outward from the top center, it is edged with a perpendicular lace border which is joined as you go and punctuated with playful picots. 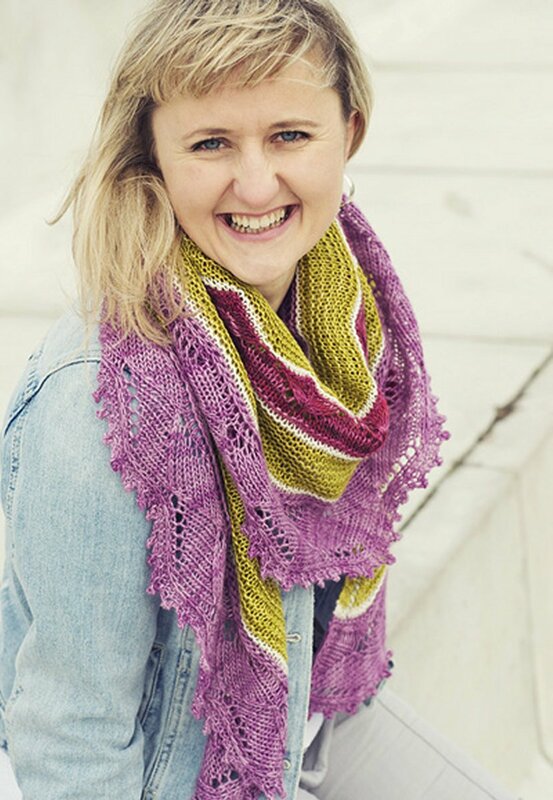 This design is free from Knitty's website. Remember to download or print the pattern by following the link provided on this page, as it will not be shipped with the yarn. Size US 6 32" circular needles (or size needed to obtain gauge) are required but not included. Finished Measurements: 74" wide, 25" deep after blocking. Gauge: 14 sts and 28 rows over 4" in garter stitch after blocking. Color Shown is 076 Manzanilla Olive, 063 Natural, 400 Rupestre and 426 Plum Blossom. If you do not see a color combination you like here, please contact our customer service department toll free at: (877) 529-5648 and we can help you create your own custom kit!"